In the 4 decades since the first Mac-only virus appeared, malware has grown in severity and impact. Thankfully powerful security solutions have emerged in tandem. It’s hard to picture the world more than 30 years ago if you didn’t live in those times. Technology, communications, and multimedia were fundamentally different in the days when personal computers were a rare find in any neighborhood, let alone in every home, and wireless communications were mentioned in science-fiction literature more than research papers. One thing is for sure: these sparsely spread computers were hardly targeted by malicious programs, now known as malware. In the early ‘80s, Apple II computer systems started gaining popularity in households and academia, emerging as one of the first successful series of mass-produced devices. 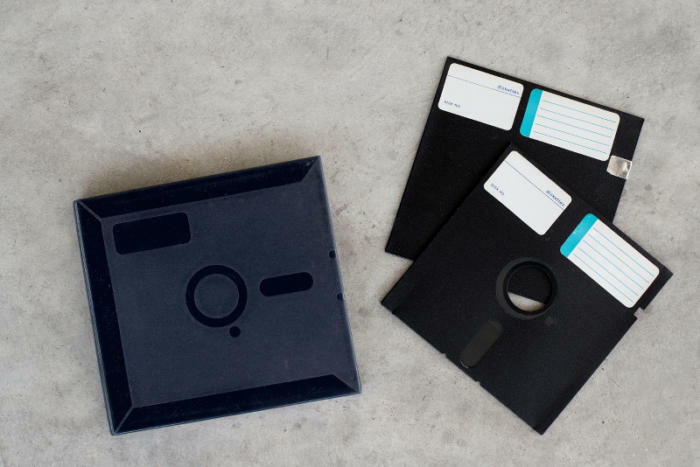 In this “pre-commercial-Internet” era, users frequently and jauntily exchanged data on floppy drives. Elk Cloner would subsequently look for uninfected disk drives and copy its code each time a new disk was inserted. Because most users exchanged data via floppy disks, Elk Cloner found its way to thousands of other computers worldwide in one of the world’s first malware outbreaks. The Elk Cloner’s ability to infect and multiply itself inspired a series of new self-replicating programs developed with scientific research in mind, such as the Virus 1, Virus 2, and Virus 3 families started by Joe Dellinger, a student at Texas A&M University. The word “virus,” now an umbrella term for malware, was coined mostly because of the Apple II malware outbreaks in 1983. In the almost four decades between the creation of the first Apple piece of malware and today, malware has changed dramatically. Nowadays, a house without a computer is a rare find. Widespread access to the Internet, as well as the variety of monetization mechanisms hackers can leverage into cash, have made malware a permanent risk of operating online. Financial loss, phishing, private information held for ransom or stolen, and undetected enrollment into zombie armies ready to attack innocent targets are just some of the dangers Mac users can stumble across on the web. Fortunately, unlike the ‘80s, computer users are much more aware of the dangers of going online and know the basic web hygiene to minimize the impact of e-threats. In addition to their vigilance, extremely powerful security solutions such as those provided by Bitdefender lend a helping hand to dodge these threats and enjoy a pleasant, productive, and rewarding web experience.